Writing is such a weird thing. I find the various facets and sides of myself curious and unexpected at times. I tend to write “lite” on this, my very own, blog and “heavy” when writing for someone else, such as Moms of Faith. However, this weekend’s post for MoF is a bit more on the lighter side, maybe a facet left of the serious and right of the humorous? Creating Memories was written because over the course of my life I’ve found our family “traditions” to have had a positive impact on our family dynamic. I come from a non-drama family that enjoys being together and WHAT A BLESSING! I pray the same for my own children and I strongly believe that being intentional when creating family memories or traditions has a huge impact on creating a joyful family. 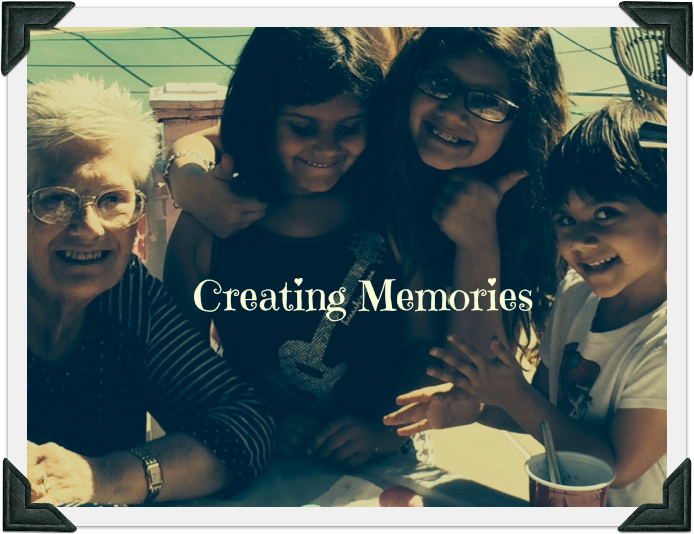 Who doesn’t want to give their child wonderful memories to remember for a lifetime? Love creating memories with you all so much!